Today marks the 100th day of the 2018-2019 school year. 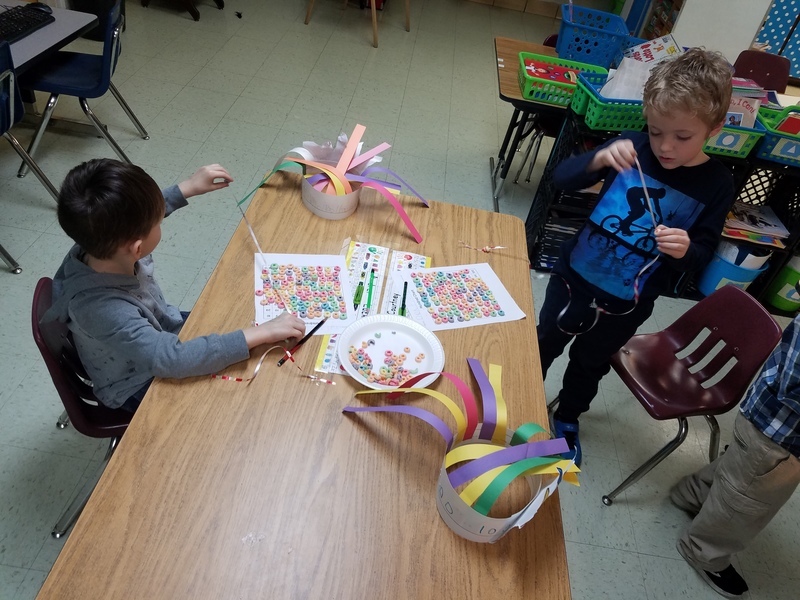 Students in preschool through 2nd grade spent their day celebrating the 100th day with activities centered around the number 100. This is a special day for Glenwood Elementary and the students had a great time! Happy 100th Day, Mustangs! Mrs. Jackson's first graders designed and wore t-shirts covered with 100 items. Mrs. Danahy's second graders were 100 Day Superheroes! Mrs. Cawvey's Preschool students counted all the way to 100 in Fruit Loops! That's a lot of Fruit Loops! Kindergarten students counted out 100 Fruit Loops. It was difficult to keep from eating them all! First graders wrote paragraphs about being 100 years old and posted them with their 100 year-old pictures! Lots of wrinkles! Welcome to the 100th Day Celebration! !